AB InBev is opening a new automated warehouse with space to store 23 million pints of beer at its largest UK brewery in Magor, South Wales. The world’s largest brewer plans a global roll-out of the warehouse technology, making Wales the starting point for the technology expected to cut its carbon impact. 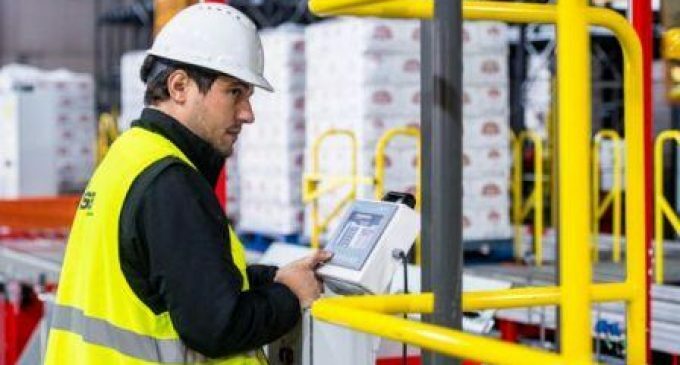 The 80,000 cubic metre warehouse will enable AB InBev to meet growing UK demand for beer brands, including Stella Artois, Budweiser, Bud Light and alcohol-free Budweiser Prohibition. Robotic cranes operating across six stories and 9 miles of racking will be able to retrieve any one of the stored pallets in under 60 seconds. The warehouse’s technology will reduce the brewery’s carbon footprint by 605 tonnes of CO2, the equivalent to the electricity consumption of 600 homes, by reducing transportation between warehouses. It builds on several investments at the Welsh brewery, including a CO2 recovery system and a waste-to-energy power generator. The investment reinforces the brewer’s commitment to its 2025 Sustainability Goals, which includes the target of a 25% reduction to carbon emissions across its value chain against a 2017 baseline – the equivalent of taking more than 1.5 million cars off the road each year. The warehouse’s technology was delivered by automated material handling specialists, Consoveyo. The new warehousing builds on a series of investments into the brewery’s environmental performance. These include a Combined Heat and Power (CHP) generator that converts biogas produced from the brewery’s by-products into clean energy, a CO2 Recovery Plant, which has made the brewery self-sufficient for carbon dioxide, and a 20% reduction in water consumption over the past five years, driven by investment into water recovery technology. As part of the brewer’s sustainability ambitions, it recently introduced a new accelerator programme in a bid to support emerging start-ups with an ambition to tackle some of the world’s greatest sustainability challenges including climate change, water scarcity and circular packaging. This will see AB InBev invest up to £75,000 in each start-up selected for its accelerator programme; the 100+ accelerator. The global brewer is looking for start-ups with ambitions in 10 areas including water stewardship, climate change, product upcycling and the circular economy, farming yields, responsible sourcing and greener logistics.